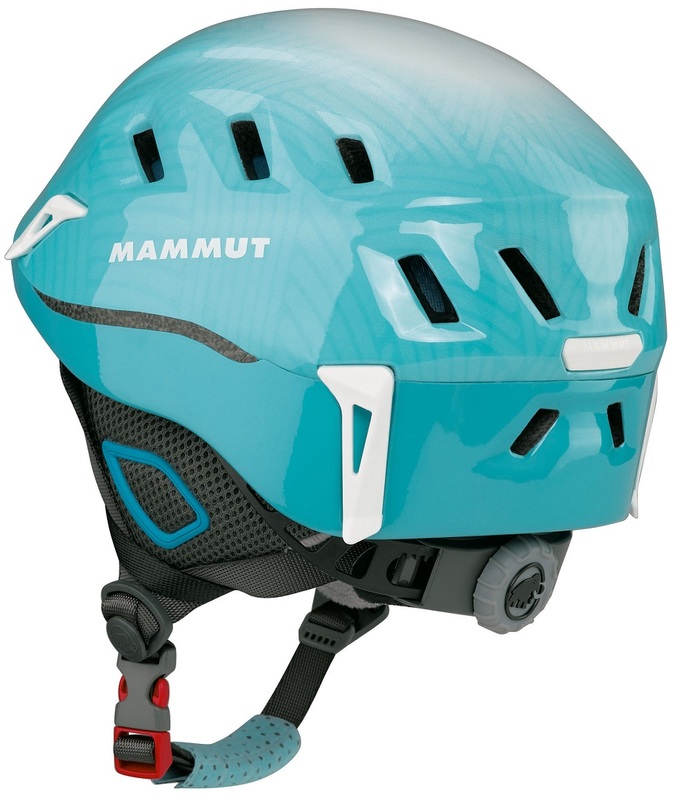 While many ski mountaineers prefer to use a well-ventilated climbing helmet, others prefer a helmet certified for both skiing and mountaineering. Everyone likes one that’s comfortable and holds goggles and/or a headlamp. 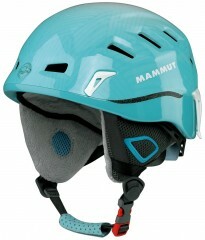 The Mammut Alpine Rider satisfies the comfort, functionality, and safety requirements of all groups. 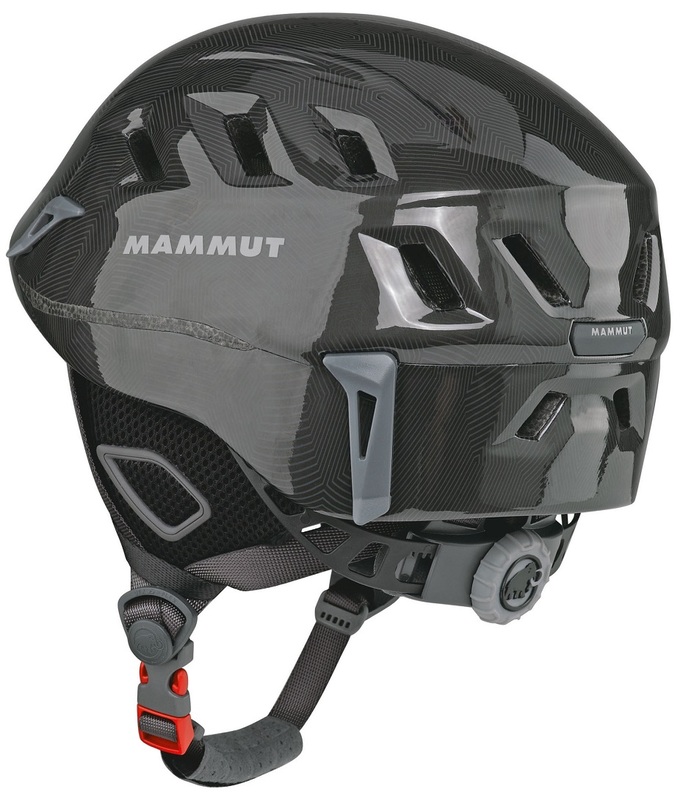 By changing the padding configuration, the helmet can be transformed from a sturdy ski touring helmet to a light and fast climbing machine. The small packing volume is great for any high altitude pursuit. Fully adjustable chin strap, headband, and padding to dial in the fit. In-mold design features a tough Micro Shell surrounding an EPS core. Removable winter padding (+44g) is warm and comfortable enough for alpine skiing. Thumb wheel adjustment system easily tightens with one hand. Features 4 headlamp clips and excellent goggle compatibility. Large vents keep air circulating when you’re moving fast. Certified to EN 12492 (climbing) and EN 1077 (skiing) standards.  Hi, I am looking to buy a new helmet for my wife for touring and racing. It is a difficult time at the moment due to the new ISMF rules that appear to have caught out a lot of manufacturers. She would like a sportier more ventilated helmet like the alpine rider but does not want to fit extra padding and ear pieces to make it a ski helmet. Is this helmet certified as a ski helmet without the extra winter kit fitted? Thanks in advance for any information. Hi Simon, yes the ISMF got ahead of the manufacturers on this one. There will likely be lax enforcement in the US. You don't need the padding for the ski cert. I purchased this helmet as the workhorse for my touring and recreational racing in the Northeast. The Alpine Rider was appealing due to it's dual certification and it's relatively light weight. I've used it for most of my uphilling, racing, and the occasional resort skiing for the past few seasons. Compared to other downhill oriented helmets, the Alpine Rider is a nice reduction in weight, though in comparison to mountaineering helmets is on the heavier side. The weight is barely noticeable during tours, and I am able to wear it for long periods of time without any feeling of encumbrance. The clips in front and back work well for a headlamp during early morning ascents. Additionally, these can be used to keep goggles in place, which stow nicely when not in use (more on goggles below). The helmet comes with a removable winter kit which covers the ears and adds a bit of insulation on top. I found this too be too warm, and removed it fairly early on. On cold days, I add a headband or thin poly cap underneath, which works to keep my head warm and allows for adjustment depending on weather changes. Without the liner, the helmet ventilates reasonably well, and I haven't had issue with even on high output days. The fit of the Alpine Rider, however, has presented a bit of a challenge. Though my head circumference is in the middle of the range of the Large size, the helmet seemed to have an excessive amount of space. Additionally, while the helmet has a cinch system to accommodate various head sizes, I've found the helmet has a tendency to pivot backward. This is exacerbated by the presence of goggles, which via the elastic band, pull the rear of the helmet down exposing my forehead. More, the helmet can seem a bit bulky at times. Despite the issues with fit, I've continued to use it for much of my touring and resort skiing, though will probably find an alternative for this coming season. Overall, the Alpine Ride has served its purpose. It is light enough to wear all day and ventilates well. For those whom it fits well, I have no doubt it would be a reasonable choice for dual certification helmets. However, for others, it is probably worth finding an alternative product. I like this helmet much more than all of the frontside-oriented helmets I've used in the past. I like that the adjustment system and ear-flaps fold nicely into the helmet while its in my pack. The weight is decent, the goggle and headlamp clips work well, and the winter liner is very luxurious and cozy. The ventilation was reasonable for a steep 45 minute bootpack in above freezing temperatures (winter padding and all). 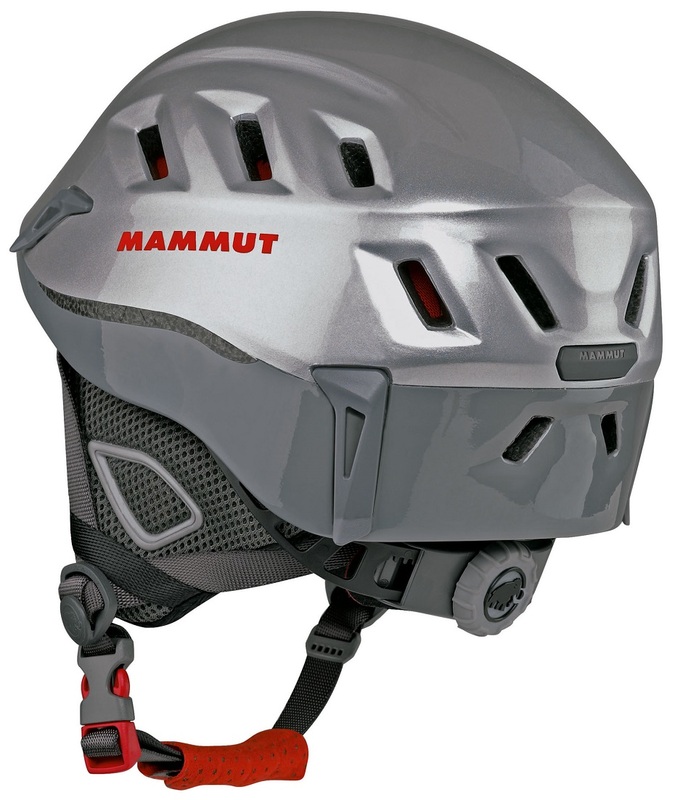 A dedicated climbing helmet may have better ventilation, but this helmet is very versatile- I recommend it, especially if you ski the odd day in-bounds or in cold weather.